Saturday, October 13th marks the one year anniversary of the passing of John Medica and I wrote this tribute to him a year ago. I’m sure many in the Forbes audience knew John and will appreciate the sentiments I’ve tried to convey in this article. All of us who knew John miss him dearly. Like many others, I’m still having challenges wrapping my head around the notion that John is no longer with us. I guess we bonded from the start because like me, John was from the Northeast and we were both huge Yankee fans. Let me correct that — we were crazy Yankee fans. 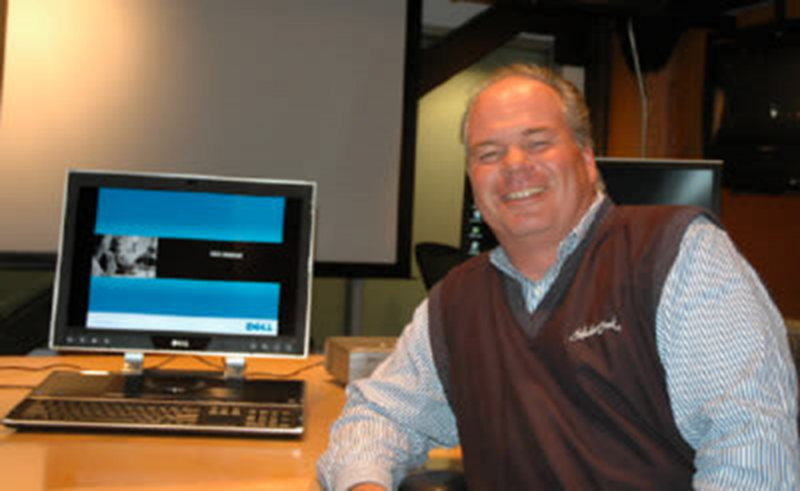 Upon reflection, what I remember most about John is not his accomplishments in the technology space at Dell (which were enormous), but the plain fact that he was just a kind and good person. Full stop. When you met John, you instantly wanted to be his friend and you wanted to hang around with him. Some talented tech space business leaders do not want to get close to people because they feel it might compromise their ability to manage them, but John was extraordinarily different in that respect. He wanted to know you. He wanted to know about your family and how they were doing. When you were around him, he had this innate ability to make you feel special. With an “always on” toothy smile and offbeat sense of humor that made you laugh because he tended to chuckle at his own jokes, John made you instantly feel comfortable, regardless of the business situation. He was absolutely not the kind of senior business leader you’d generally encounter in the tech space. This is not to say that John was not intensively competitive or driven in his working style. He absolutely was but his genius was that you never knew it when you worked for him. It’s been said about the great Joe DiMaggio that he made the tough plays look easy and effortless and that aptly describes John. He was constantly on the prowl looking at ways to innovate in an aggressive manner. Case in point: in the early 2000s, Microsoft came up with a version of Windows called Media Center that had a 10’ interface that allowed PCs to be used in your living room for couch-based playback of TV, movies, and music. Great idea except that Microsoft wanted to increase the individual royalty of Windows — and when we came up with the idea of bolting on our own Dell designed living room interface on top of the standard Windows OS which would allow Dell to avoid the Media Center “tax,” John was delighted. To this day, I can’t describe the pure joy it was to watch John make gleeful faces on a conference call with a senior Microsoft exec who was not exactly thrilled (and that’s an understatement) with what we had done. Pure Medica. But I must admit that my fondest “Medica Memory” was when I traveled with John. Trips to Asia (and there were lots of them) are often grueling: time zone disorientation, all day non-stop meetings followed by elaborate (multi-course) dinners with customers and suppliers that could take hours when all you wanted to do was get back to your hotel room and sleep. But when you traveled with John, the hours flew by. It was like traveling with a Borscht Belt comedian. My favorite story: after a long day of meeting in Taipei, we had an elaborate dinner with a well-known Dell supplier and the customary pre-dinner business card exchange began and approximately 15 customers formed a procession and started presenting their business cards in the traditional formal fashion. John greeted the last person in line by saying, “Hi, I’m John Medica with Dell.” The customer bowed his head and said, “Good evening, my name is Charlie Chan” to which John replied, “Good to meet you. Do you have a detective agency branch here in Taipei?” Having absolutely no clue about John’s 1930s B-movie reference, the person looked understandably puzzled but that didn’t prevent John from laughing at his own joke louder than any other person in the room. Classic Medica.